So you think starving yourself is the key to losing weight? Think again. Skipping meals won’t help you lose weight. Yes, the first step to losing weight is committing to a lifestyle change (not a diet) that results in eating less. But if you think “eating less” is the same thing as essentially starving yourself or skipping meals, you are sorely mistaken. Obviously, if you were to eat little-to-nothing, your body would look for an energy supply. Being the unbelievably complex and brilliant creation it is, the body would quickly relinquish any excess body fat as it’s main fuel source. The next source of fuel would be whatever is left, mainly muscle. This is an unhealthy and unrecommended way to lose weight. 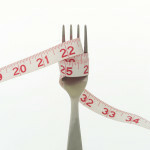 If you have committed to losing weight, you must also commit to doing it the healthy and natural way. You didn’t gain the excess fat overnight, and you will not lose it overnight. Your eating habits combined with the amount of exercise you engage in are the keys to losing weight. 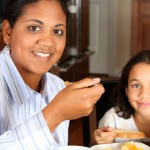 Controlling your food portions is the first step. 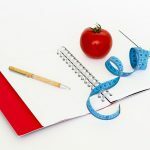 Whether you are counting exact calories or not, the amount of food on your plate at a given meal time needs to remain balanced and within reason. Overeating plus a lack of exercise is a good equation for weight gain. Eating less plus a increase in exercise is a better equation for losing weight. It sounds so simple, but you need a plan. Eating smaller meals spread throughout the day lends your body the chance to maintain and increase it’s natural metabolism. This “grazing” method begins with breakfast. Breakfast is the first meal of the day, and it should not be skipped. The majority of your calorie intake should begin here. This doesn’t mean stuffing your face with sausage and pancakes. Find a healthy balance of protein, fiber, calcium (helps burn fat), carbs and other essential nutrients. Avoid food that are too fatty. 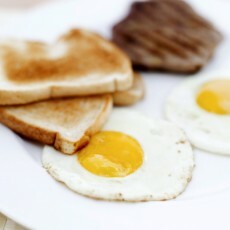 Healthy fats are OK. Eggs are high in protein and healthy fat. Aim for whole grains as well. Eating Breakfast will jump-start your metabolism and decrease your chances of obesity by 450% – YES: 450%. As your day continues, eat small meals to keep yourself full. These smaller portions will allow your body to digest the food better, and as you do your normal daily activities, you will have the energy to burn. Your blood sugars will also be more well maintained. Your body will thank you. Don’t skip meals. Do, however, listen to your body. 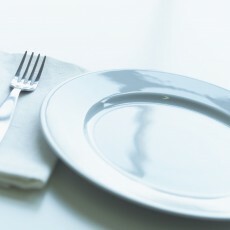 You will receive signals of feeling hungry and signals of feeling full. Learn to tell the difference between feeling full and craving a certain food item. Use healthy snacks to fill the gaps between your bigger meals. Breakfast, lunch and dinner may be bigger meals than the smaller ones you eat throughout the day, but it shouldn’t be by much. Eating more often will help you stay fuller longer, and your hunger level should be decreased when lunch and dinner times roles around.